This 8mm wide cabochon ring looks gorgeous with the black enamel and cabochon Sapphire. The enameled Scroll designs straddle a 5mm Sapphire Cabochon that is set with a bezel made of milgrain. A larger or smaller stone could be used as well as another type. 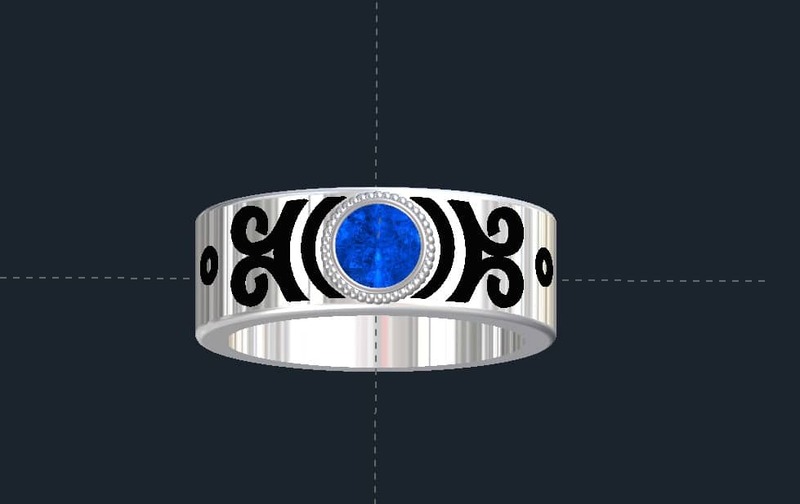 The scrollwork could also be changed or even just not filled with the enamel. There are around 10 colors of enamel available, so black isn’t the only option.